Ghost Hunting Theories: "Itsy Bitsy" Upcoming Horror Film! "Itsy Bitsy" Upcoming Horror Film! I am a HUGE fan of indie films, especially the horror variety. This upcoming film caught my attention right away - "Itsy Bitsy"
Our story is about an at-home nurse, Kara, who moves out to the country with her two children, 13-year-old Jesse and 8-year-old Cambria, to live with and take care of an elderly man with multiple sclerosis. Things seem normal enough until Jesse discovers a mysterious old relic in the old man’s house, leading to unexpected and horrifying things coming to life. Itsy Bitsy is an old-school creature film with a terrifying giant spider at the center, but the movie isn’t just about arachnid horror. Kara will have to deal with her internal and familial struggles while saving everyone from becoming spider food. It’s as much a story about people and family as it is about an eight-legged monster. Mixing character drama with chilling scares, Itsy Bitsy is a movie you’ll be haunted by for years to come. 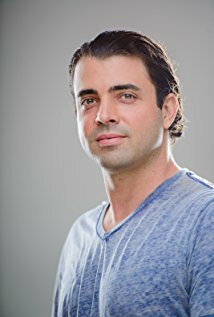 Micah’s career began with making films on his father’s camcorder from a young age and led to him being accepted into USC, the top film school in the country. Since then curiosity and desire for quality drove him to train in as many aspects of the art and business of film as possible. Micah’s fascination with visual composition and technology inspired him to co-found the award winning post-production facility, Lit Post. While there he built the company from nothing and collaborated with other top artists to design new cutting-edge effects previously unavailable for independent films. With experience on over 40 feature films Micah transitioned into content development by creating the groundbreaking short film Wick. Always seeking to push technology Wick is notable for being the first film shot on the revolutionary Dalsa 4K digital format leading the pack into the digital revolution. He has earned several Best Director and Best Cinematography awards for his work as well as being honored with an Emerging Cinematography award for Achievement in Cinematography from the International Cinematographers Guild. "Itsy Bitsy" is slated for release in 2018. Cannot wait!